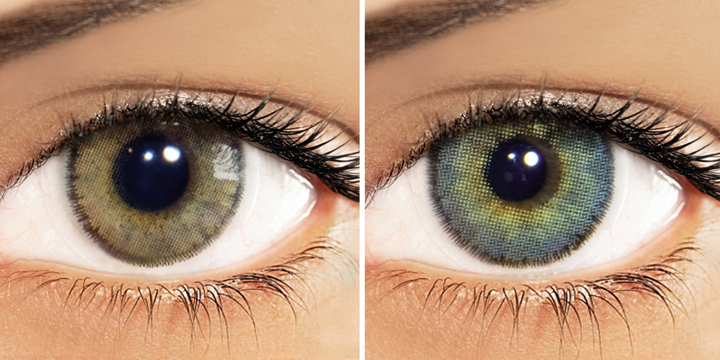 Difference Between Solotica Color Contact Lenses. What is the difference between Solotica Hidrocor, Natural and Hidrocharme? Solotica lenses are available in three styles Hidrocor, Natural, and Hidrocharme. 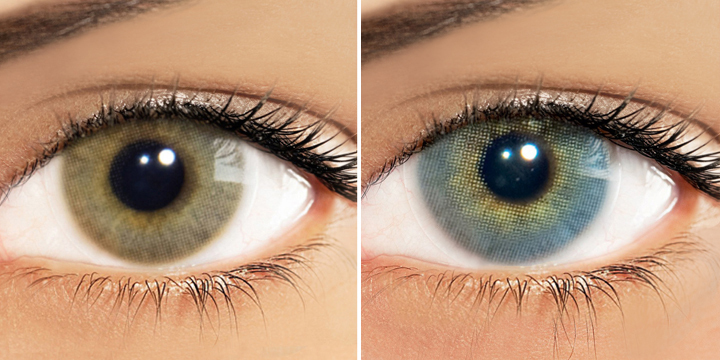 Solotica Hidrocor is the most natural and most opaque which means that it covers your natural eye color the most and does not have a limbal ring. 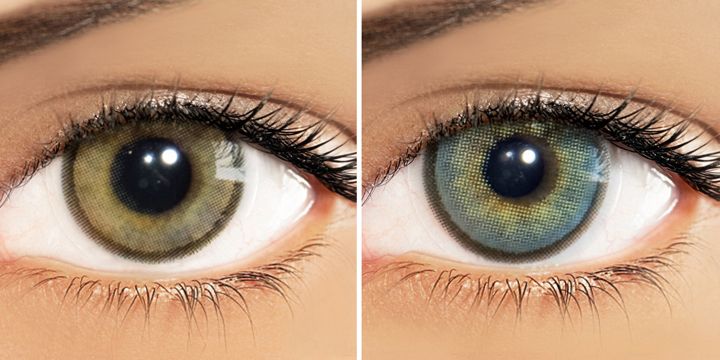 Solotica Natural is less opaque than Hidrocor and has a slight limbal ring with black accents across the colourized area which look like dots (pixels) which gives a slightly darker effect that you would get with Hidrocor colors. Solotica Hidrocharme has a defined dark limbal ring and is equal in opacity to Hidrocor. Hidrocharme is the most dramatic style in Solotica.